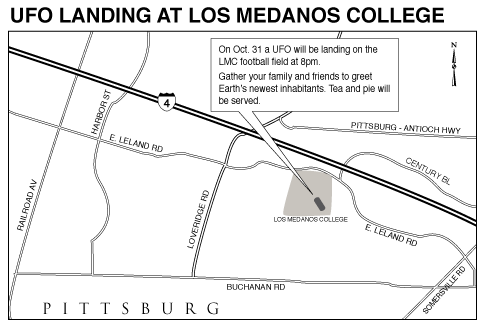 LMC Student Kelly McNamar created this map to LMC, the site of a fictitious UFO landing, as part of an assignment in her Illustrator class. Kelly wants you to know she's "Super awesome." Curtis wants you to know that you should check our schedule sign up for a graphics class next semester so you can be "super awesome" too.